Pay Band : A pay band of Rs.24900-50500/- for all above mentioned posts. 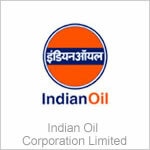 Application Instructions : Candidates can apply at IOCL website from 24/08/2011 to 12/09/2011 only. Candidates must take a printout of the computer generated registration form and send it with recent passport size photograph on or before the deadline i.e,19/09/2011 to the address "Advertiser, Post Box No. 3098, Lodhi Road, Main Post Office, New Delhi - 110003". Details:Kindly visit http://www.iocl.com/PeopleCareers/job.aspx for further details and online submission of application from 24/08/2011 onwards only.